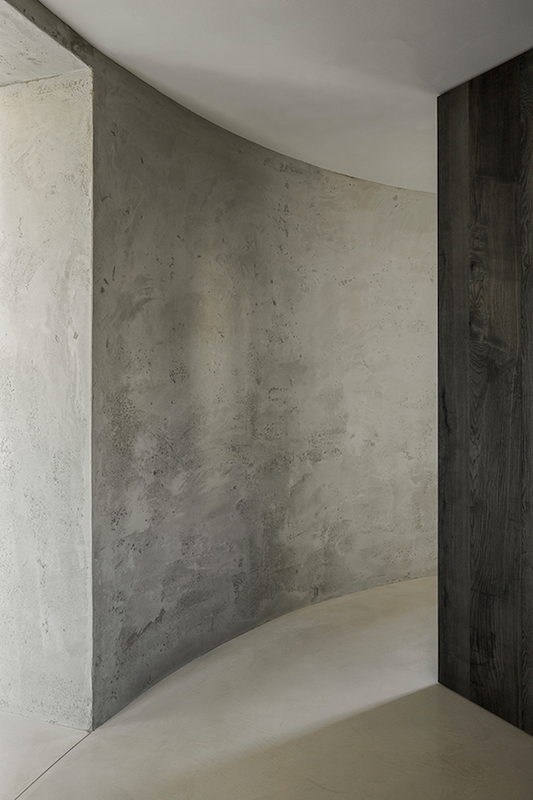 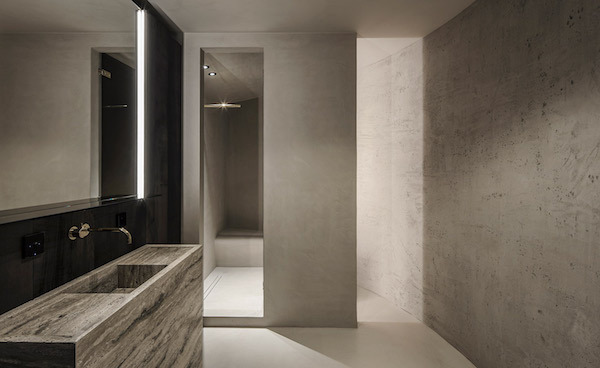 Belgian architect Arjaan De Feyter designed this minimalistic concrete apartment in one of the by Axel Vervoordt coverted old silos at the Kanaal in Wijnegem, Belgium. 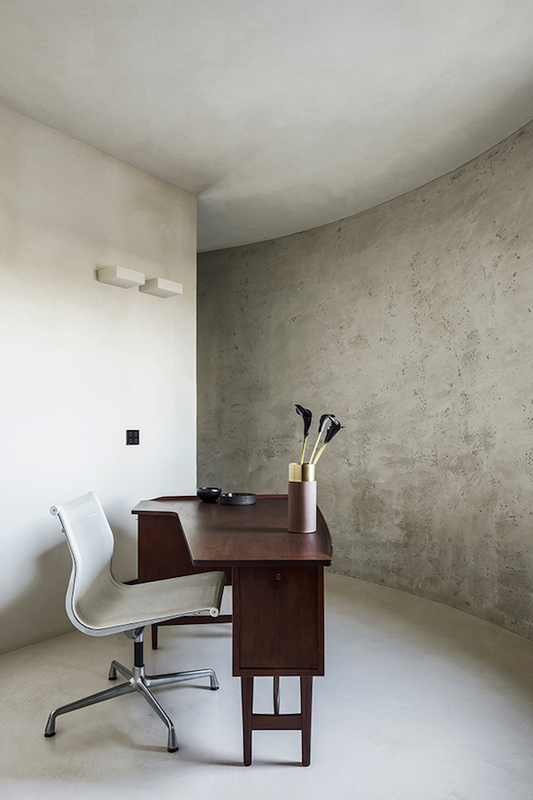 An industrial dream space with exposed concrete floors, concrete plaster walls and brick structure. 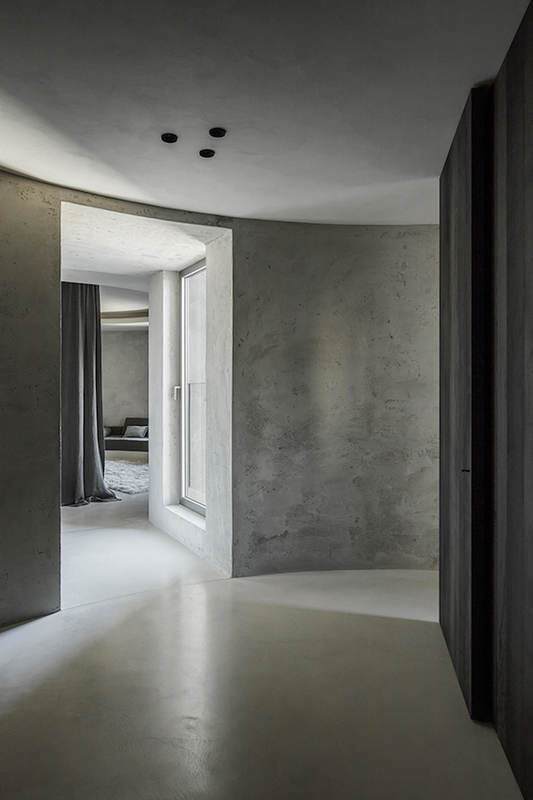 Strolling through the article, found on Wallpaper, it were the many sightlines flowing from one room to another that caught my eye. 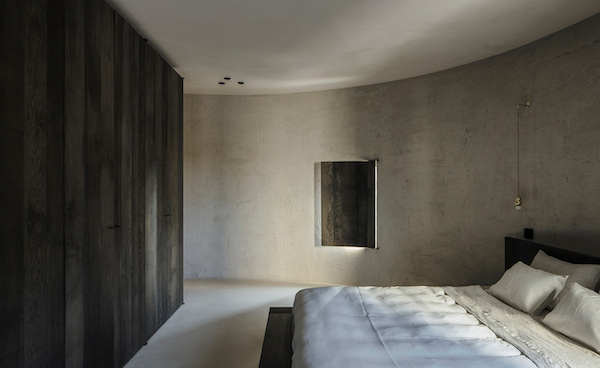 I am not a particular fan of round spaces but I love how the custom made furniture and the carpet beautifully follows the lines of the building while linen curtains soften the space and some walls are build to, as the architect says, create the right visual pauses.